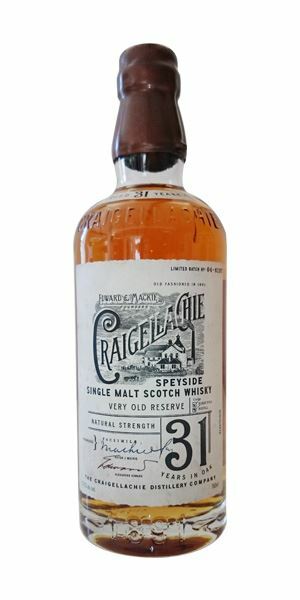 A Craigellachie duo delight Dave Broom with their complexity and meatiness, while a Springbank local barley bottling, Wolfburn's inaugural release, the first in a new series for Macallan and a blended malt from Shetland Reel bring up the rear. Silky and sophisticated with the alcohol giving lift rather than burn. A fabulously mature and elegant nose of apricot, guava and mango backed by dazzling sweet spices. There’s a touch of cream and a lift of nectarine-like acidity. In time it deepens into vetiver, and amber. With water there’s a reminiscence of an old leather schoolbag and thick honey. Hugely impressive. As is often the case, such a huge nose leads to a slightly shy palate which needs time to open and for you to concentrate on. It’s more pollen-like, sweet and lightly oaked with a dense quality that brings to mind Jamaican pineapple rum. A real physicality. It’s like some of the very old BenRiachs but with a richer and heavier mid-palate. A great whisky, but sadly it will cost you a pretty packet. A gentleman pauses on a bench in Green Park, opens his briefcase and withdraws a mango. We start in the gun room, but move quickly towards the kitchens where aromas of turmeric, garam masala, and lamb rogan josh lean out from under the door. This flies off as that very Craig lift of fruit and blossom takes charge alongside a (pleasant) sulphury lift. Underneath all of this is a feral, wild undertow. Water brings out more fireworks. A thick start, with good attack and central poise. It’s more on the earthy side of things with light grip and then exotic fruits. 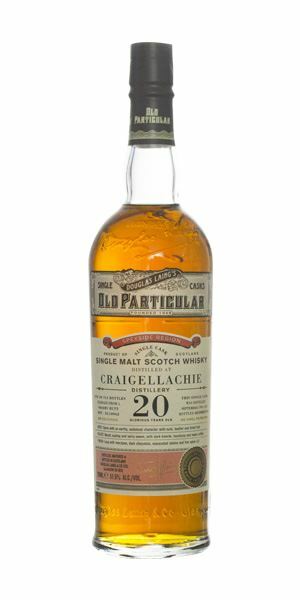 Palate-coating, then space dust, then the oily, dense, almost meaty distillery character. Fruits begin to break through. The funkiest and meatiest of a remarkable duo. Eating curry around a campfire. Red eyes gleam in the woods around us. Initially, a fresh, sweet barley loft aroma greets you before there’s a teasing note of woodsmoke, shoreline brininess, and a touch of sweet turned earth. More citric elements begin to build – lemon biscuits. With water, things become ever more lifted – freesia, candelwax and new plimsolls. The smoke recedes. Softer than the nose, seductive and silkily slithery on the tongue, deepening in the mid-palate where there’s some sweet cereal and then a little prickle, indicating the smoky fuse has been lit. It needs water to soften and also lengthen. Dilution also retains sweetness and allows it to clings even more closely to the tongue, like a child cuddling its teddy bear. 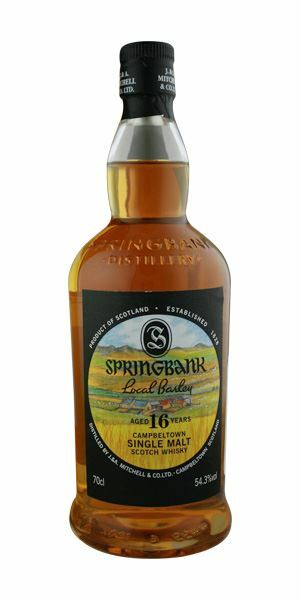 All the way it has understated, but real, Springbank power. 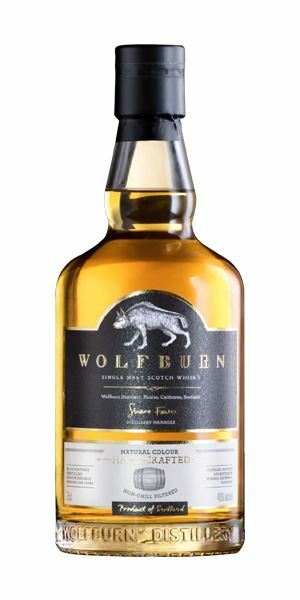 Distilled from barley grown at Low Machrimore farm in Southend, this is the first of five years'-worth of releases from this legendary bottling. Brora lovers will also rave about this – as should you all. Running in your new sannies* towards your grannie’s house at ploughing time. Big, sweet and quite ‘old-style’ Macallan with a really resinous opening followed by some zested Seville orange, pink grapefruit, the sweet stickiness of a freshly opened box of dates, then some chocolate. There’s deep oakiness, but it’s not woody; rather it achieves a balance with the already rich distillate. A drop of water moves things into dubbin, varnish, figs, and cold Lady Grey tea. An immediate, hefty retronasal hit of fig and dried fruit with lots of Old English marmalade then into clove and melting dark chocolate before a touch of pigskin leather. Very supple tannins. Has depth, but also sweetness. Water lightens and lifts, but allows the oils to coat the mouth. Touch of chocolate bitters on the back palate. Maybe just a little short. Smoked pimenton dulce. Approachable, but built on classical lines. 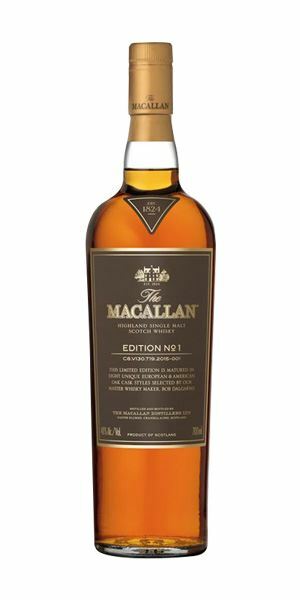 A really good Macallan, made from one American, and six European oak casks of different sizes, fills (six are first fill), and from different coopers. Sitting in Aquarium – the bar inside Dunhill’s store in Ginza. Quite a thick start with a little hint of cigarette smoke, new wellies, heavily buttered tea loaf, dried curry leaves, Hob Nobs dunked in milky tea and daffodils. Water makes things more farmyard-like, with baling twine and linseed oil. Aye, a lot going on. Sweet start, in fact boiled sweets to start, then a lash of leather, tinned prunes, Assam tea and spice. All well balanced and quite rich, especially on the mid-palate where there’s some nutty sherry notes kicking in. It loses that dense quality with water but it does help to pull out light smoke and the charming reassuring smell of old sofas. 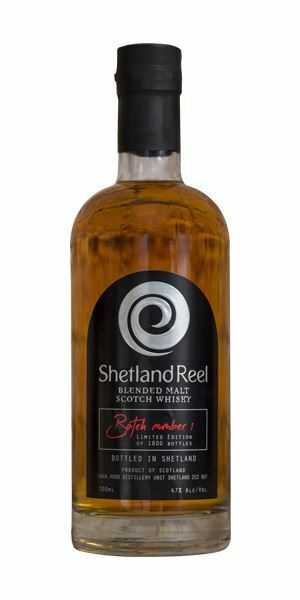 It’s bottled in Shetland but not distilled there. Well made and worth a look. Playing cricket in Lerwick, wellies on, bat oiled, tea being made in the clubhouse trying not to think of Shane Warne. 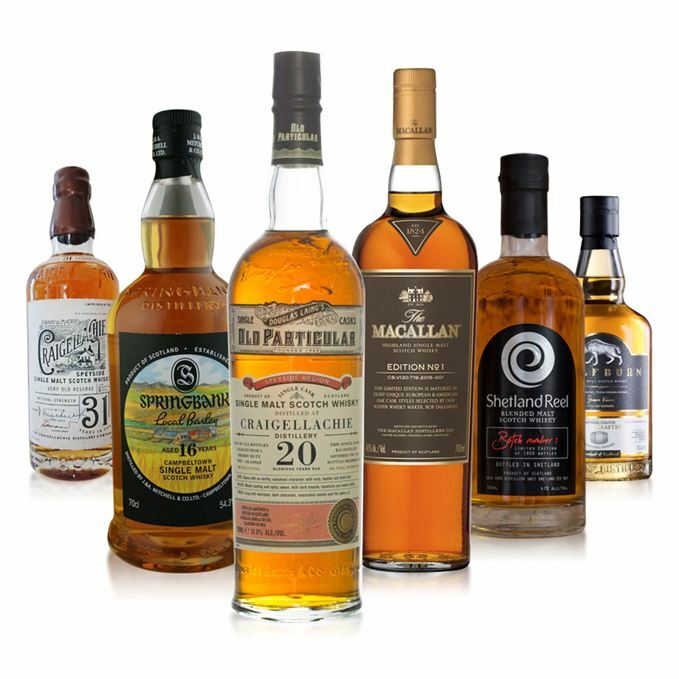 Batch 33 18/03/2016 This week’s new whiskies include Arran 18, Laphroaig Lore, and two duty free Auchentoshans. Batch 31 04/03/2016 An assortment of treats this week from the likes of Lagavulin, Kilchoman, Glenmorangie and anCnoc.